As per the market predictions by GSV advisors, the global eLearning market is estimated to grow at a Compound Annual Growth Rate (CAGR) of 23% over 2012-2017. In dollars, this translates into $90 bn to $166.5 bn in 2012 and $255 bn in 2017. That’s a very healthy growth rate. 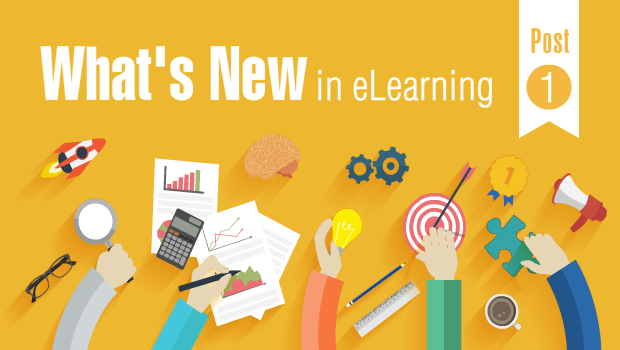 As the eLearning market continues to grow from strength to strength, it’s only natural that eLearning evolves too. 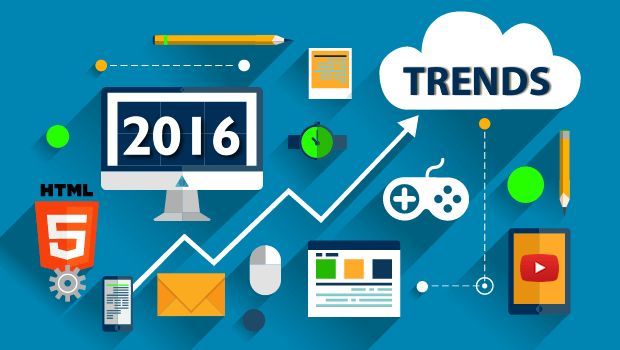 Here are our predictions about the upcoming trends in this industry. While there is possibly some overlap between a few of them, the growing importance of each calls for a separate acknowledgement. From ‘just another type of PC’ to ‘an interesting media consumption device’, tablets have come a long way in a short time. Overall, the tablet market is showing exponential growth with tablet sales touted to overtake that of notebook PCs with an estimated volume of 240 million units sold worldwide by end of 2013 (by Tech-Thoughts). In the enterprises too, the usage of tablets for business related activities and enterprise mobility is on the rise, making eLearning on tablets almost a necessity. As we mentioned in The Question Of Why (Not) eLearning On iPads Or Tablets?, while eLearning on tablets is not ‘real’ mLearning, it serves as a bridge to Mobile Learning. This has given birth to another trend most commonly found in organizations these days – mEnablement. mEnablement is the conversion of existing (legacy) eLearning courseware into a tablet compatible format. Know How To mEnable Your eLearning. ‘Pervasive Learning’, as described by Dan Pontefract, is learning at the speed of need through formal, informal and social learning modalities. The idea of pervasive learning makes perfect sense as more and more of us become concept workers, and work and learning merge. This is further driven by the emerging technology, which is helping pervasive learning to happen more effectively and will continue to impact positively. In line with this is the ‘embedded ubiquitous’ approach, where learning is embedded with the work, and is provided just at the time of task execution, just enough to accomplish the task at hand. Mobile devices and technology are the first wave in technology that supports this type of learning; it only gets better from here. We live in a multi-device world. Almost each one of us today uses a smart phone and a laptop (and that’s just the bare minimum requirement!) and other such devices that can support learning. For training administrators, this means developing and delivering learning solutions that work seamlessly across all devices – irrespective of their sizes, shapes, resolutions or OSs. The answer to this is ‘responsive eLearning’. Responsive eLearning design, simply put, is used to “provide an optimal viewing experience – easy reading and navigation with a minimum of resizing, panning, and scrolling – across a wide range of devices”. But while responsive design provides device/display specific structuring of the content, it is important to ensure the relevance, type and context of the content, and more importantly the ‘point of use’ and access. HTML 5 was hot when it came into focus and till this day remains to be one of the hottest trends to have hit the eLearning industry. So while Flash vs. HTML5 was a point of debate earlier, it’s not anymore. For any web-based mLearning, HTML5 is the future of mobile web, even if it’s not ready to the extent we believe it to be. Speaking of authoring tools, most tools, today, actually struggle to provide real HTML5 compatibility. Several of them actually just embed non-interactive videos in HTML code. Good quality animations and interactivities are still missing. The tools are expected to become more capable in exploiting the potential of HTML5 in the future. Of the tools available out there, Lectora, Articulate Storyline and Adobe Captivate seems to be the most promising. Some of these also provide options to publish as Flash or HTML5 or as an app. Here’s a compilation of 15 Authoring Tools For mEnabling Your eLearning For iPads. We had rendered our first impressions of the Tin Can API some time back. That this API promises to address many of the shortcomings associated with the existing SCORM standards, that are now over a decade old, is a given. But what remains to be seen is how it will affect the LMS as we know it and how soon? Very soon, if you ask us; although the actual adoption may take some time. It’s true that getting a standard off the ground is a huge challenge, but Tin Can API, with its ability to collect data about the varied experiences an individual has had, both online and offline, capture them in a consistent format and record them in detail, has the power to move more quickly than other standards for a number of reasons. ‘Gamification in learning’ means attempting to apply the principles that make individuals play games for hours at end. Properly implemented, gamification has the potential to make learning ‘stickier’, increase uptake of learning content and also provide a more comprehensive record of learning than is possible using conventional measures in courses. As millennials continue to enter the workplace at an increasing rate, gamification in learning can be used by leveraging the mindset of these young individuals who look for ways to be acknowledged for their accomplishments by their peers by making use of social connections/ media. As in a game, where there are reward points for displaying the player status, in a learning context too, the same mechanism/ strategy can be used. Majority of learning in the modern context happens naturally and at most times is embedded in other tasks – contextually and subconsciously, and is always self-initiated. While you cannot 'create & implement' informal learning, you can at best support it by providing an environment, which breeds informal learning. Part of that environment will be the culture of your organization and that’s not something any vendor, technology, or tool can do for you. Mobile with its several unique characteristics of being always on, always carried, and a host of sensors in it, could be the ideal enabling technology to begin with and offers a transformational opportunity if pursued properly as discussed in one of our previous posts Mobile Enables Informal Learning. In early stages of eLearning, video was used by most organizations for training, which later sizzled with the emergence of web and its associated limitation on bandwidth utilization. 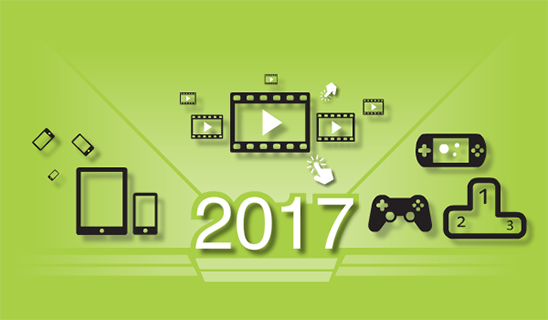 Fifteen years later, videos are all set to return to eLearning in a big way. And here’s why. In line with videos is a similar asset which will hold its own place in delivering learning to individuals – Television. In fact, its presence has already been felt with the emergence of products like Apple TV and Google TV, which connect to conventional television sources and the Internet to dish up an interactive experience as opposed to the experience provided by a regular one-way TV. Apart from being made use of for entertainment, TV coupled with video has already been used for learning initiatives in a big manner.Perhaps in a decade from now on, the TV would be completely different from what we know of it today. We had spoken about this in TV In The Future Of Learning. In fact, with the APIs and tools for creating applications for TV fast emerging, it now depends on us as to how we, as learning designers, make the most of it. Algorithmic generation of content has existed for a while now, most commonly used in games to generate content used to populate the game environment. So how long before we have algorithms that are setup to create ‘learning material’ by constantly monitoring streams of user generated content, monitoring individual context? Not too far. The first inklings of this are already visible, in the form of search, discovery and sharing services such as Scoop.it and Summify and a whole lot more. The algorithms the services use don’t really create the content, but that will change soon. We will have algorithms that actually glean information from various streams and write content. 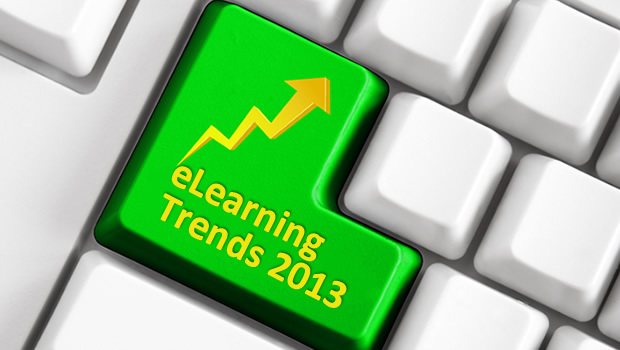 Do you foresee any other eLearning trends? Leave a comment in the box below. With over 9 years of work experience in marketing and corporate communications, Pranjalee heads the Marketing function; planning, strategizing and executing marketing campaigns, product releases, and strategic and tactical marketing activities. An advocate of inbound marketing, she demonstrates expertise in creative copy writing, integrated marketing communications and digital marketing. Prior to this, Pranjalee has worked for some of the leading ad agencies in Pune in various capacities and holds a Bachelor’s degree in Engineering and Master’s in Business Management. She is deeply influenced by Typography and holds keen interest in advertising, media and communication. I'd like to add the growing interest in applying neuroscience to instructional design. As we learn more about how our brain actually acquires, stores and retrieves knowledge, we will change the way we design all learning experiences, including elearning. Along these lines, you and your readers might be interesting in reviewing a posting that I did earlier today entitled," Reflections on “How to make online courses massively personal” by Peter Norvig — in which I outline 2 potential learning scenarios in the future.